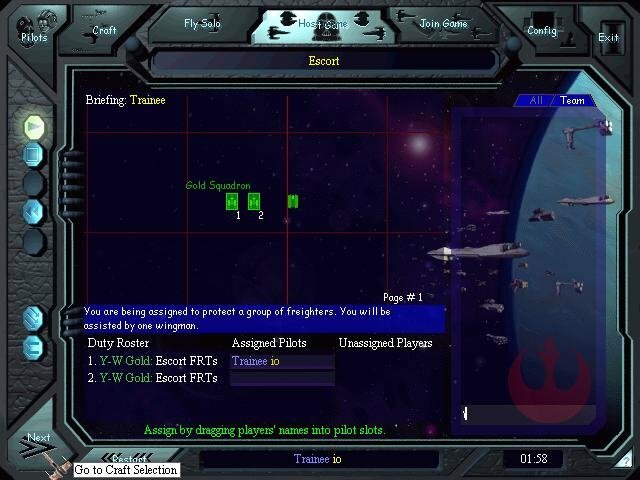 X-Wing vs TIE Fighter is the third game in the X-Wing series of Star Wars space combat sims, and it’s about this time that the franchise had started losing its steam. 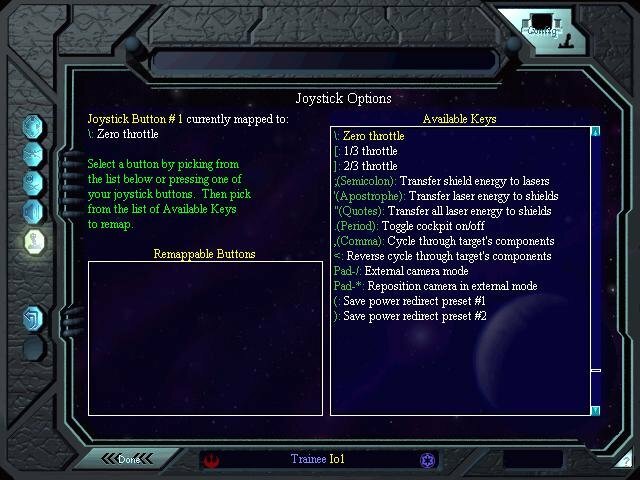 The game suffered from a long list of small but persistent inconsistencies. Taken alone they aren’t significant, but there are enough of them to add up. For instance, when you enter hyperspace, the effect of blurring stars is missing. There is no speech behind the mission briefings. 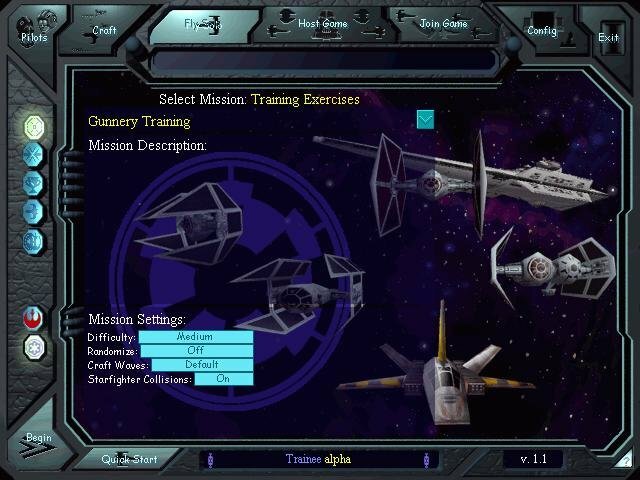 Many of the missions are directly ported from TIE Fighter. There’s little variety to the sound bites during gameplay. There are no Death Star runs. All of these details indicate that corners were cut. But the biggest problem with X-Wing vs. TIE Fighter is a lack of shape, a feeling that there’s no structure, nothing holding it together from inside. The included missions are simply scattered at your feet for you to pick up one at a time, in whatever order you like, using whatever ships and weapons you like. In a head-to-head combat, there’s no reason for players to use anything less than the best. This doesn’t do justice to the spirit of the Star Wars universe in which the Empire throws masses of cheap TIE Fighters against a handful of the Rebellion’s superior ships. This wouldn’t be so bad if the system for score-keeping were more clearly defined, encouraging players to pilot weaker ships with less advanced weaponry. But the scoring is poorly explained and seems to only take into account success or failure regardless of the tools you use. 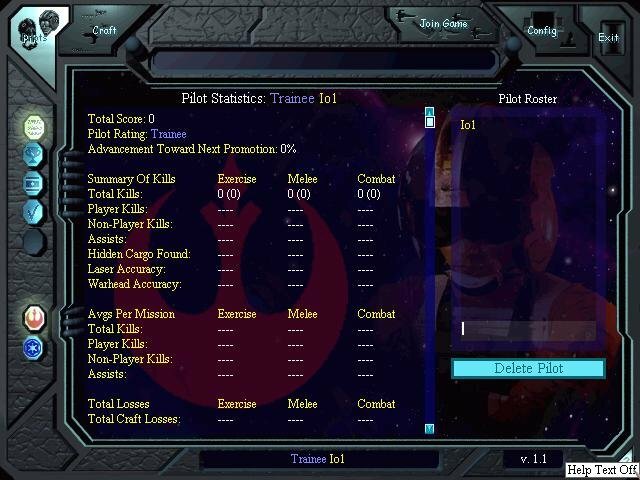 The kills, which determine your pilot’s rating, are also poorly explained. Nowhere in the manual does it mention the difference between a kill (inflict at least 2/3 of the damage), a partial kill (inflict at least 1/3 of the damage), and an assist (a possible result if you inflict less than 1/3 of the damage). 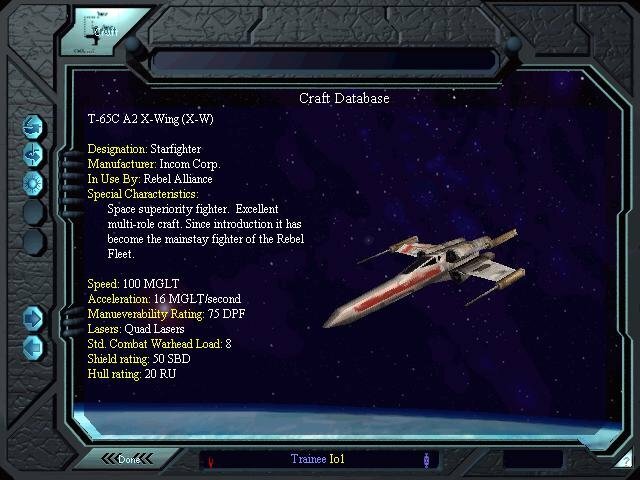 The physics of “flight” in X-Wing vs. 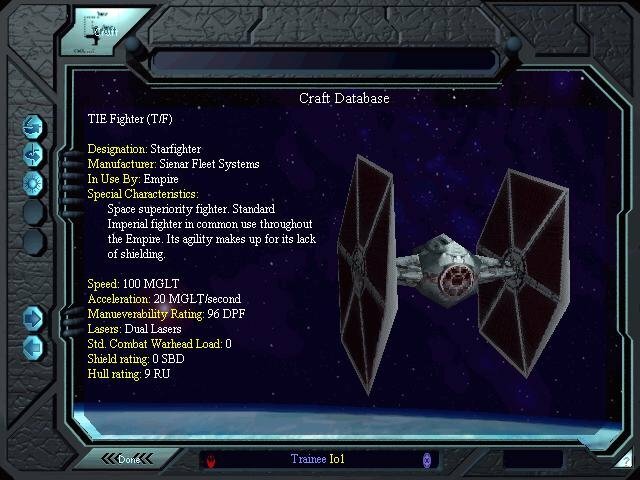 TIE Fighter have been completely revamped since the earlier titles. The ships behave as if they’re moving through an atmosphere, requiring slower speeds for tighter turns. Although some might complain that it’s now just a flight sim without gravity, this is a necessary concession to playability. Coupled with the excellent power management scheme and advanced targeting commands, this is by far the most sophisticated yet playable space sim available. Any attempts at “realism” would probably make for a less enjoyable and ultimately forgettable game. 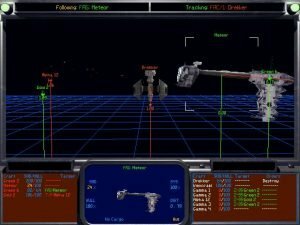 Do you remember the Microsoft Space Simulator or MicroProse’s Mantis? Me neither. The improvements to graphics are mainly the addition of texture mapping to the polygons, which takes its toll on frame rate. 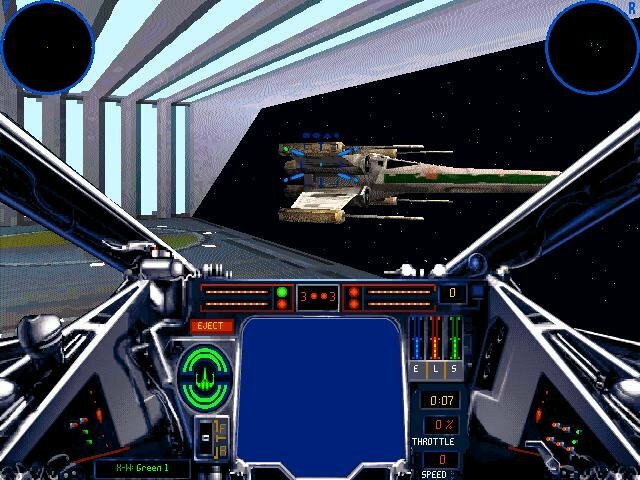 LucasArts’ claims that this engine is so fast that it doesn’t need accelerator support are nonsense. This is especially troublesome in multiplayer situations, where poor connections between mid-range computers are intolerable enough. Although the game theoretically supports four players over the Internet (via Microsoft’s Internet Gaming Zone, direct TCP/IP connections, or network emulators like Kali), even getting three players connected is an iffy proposition. Fortunately, there’s been enough kvetching that Holland has promised a patch to improve Internet connections and provide 3D support by mid-August. Which brings us to the good news. X-Wing vs. TIE Fighter is, hands down, one of the most exciting multiplayer games you’ll play, if you play it right. 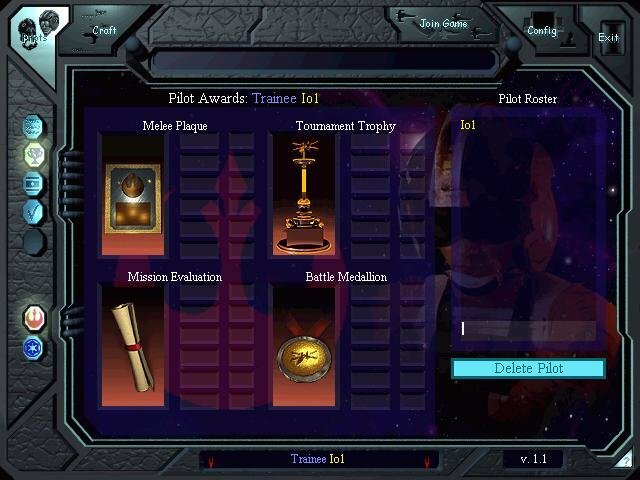 One-on-one combats are pretty dull (turn, turn, turn, shoot, repeat), but coordinated team missions, whether cooperative or competitive, are uniquely satisfying. There’s nothing like leading a squadron of Y-Wings for a proton torpedo attack against a Star Destroyer, knowing that your buddy is curled up in a TIE Interceptor, trying to punch through your defensive screen of computer controlled X-Wings. There’s a delicious terror when your opponent gets a missile lock and you’re in a TIE Fighter that’s about as sturdy as a Christmas tree ornament. 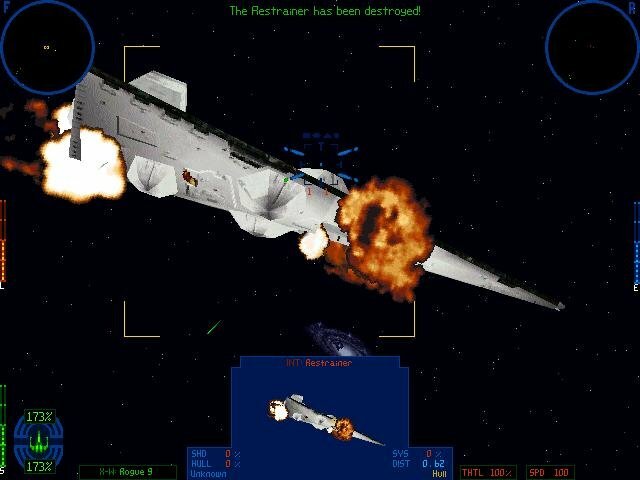 I defy you to hold your heart rate steady with another player as your wingman while the two of you fight to defend a supply depot from Imperial Gunboats. 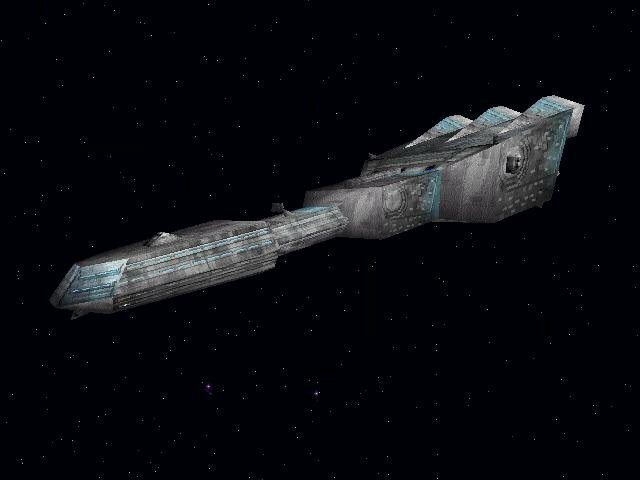 See how little you care about the game’s shortcomings while you’re protecting your friend’s TIE Bomber squadron from marauding A-Wings with concussion missiles, hoping the power in your jammers holds out until they can get off their bombs. 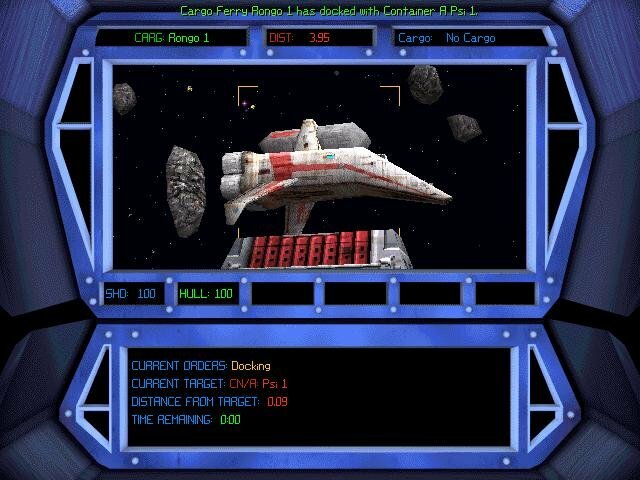 For a long time, multiplayer gaming in space combat game were pretty tame. X-Wing vs. 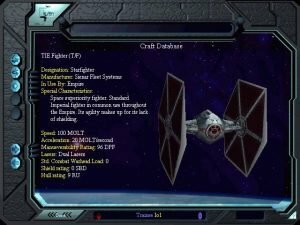 TIE Fighter allows players to join something much larger, more epic, more frantic, more confusing, more tense, more exciting. Something just plain more. You may not realize how much is going on until after you’ve been killed and you find yourself watching the rest of the battle from the map screen, biting your nails nervously. 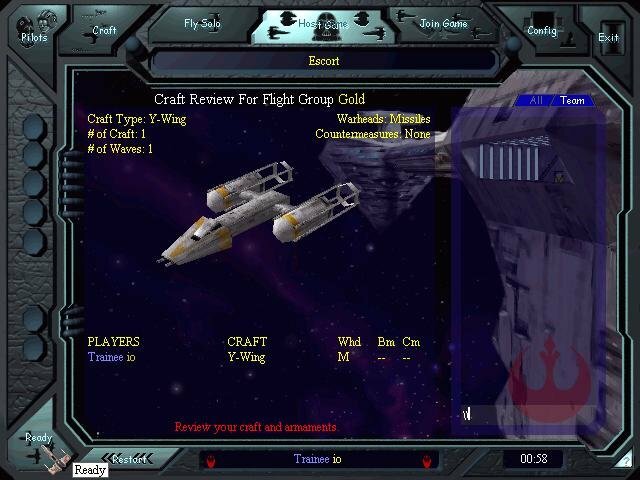 This is what makes X-Wing vs. TIE Fighter truly special and what ultimately redeems it. X-Wing vs. TIE Fighter is not perfect, but it works well enough to provide all the excitement of watching the movies. Assuming this is what LucasArts set out to do, so in this regard, they’ve succeeded admirably.